If you like a side serve of process art with your Valentine’s Day craft, then this is the project for you! My kids love painting and spaghetti. What happens when you combine these two things? 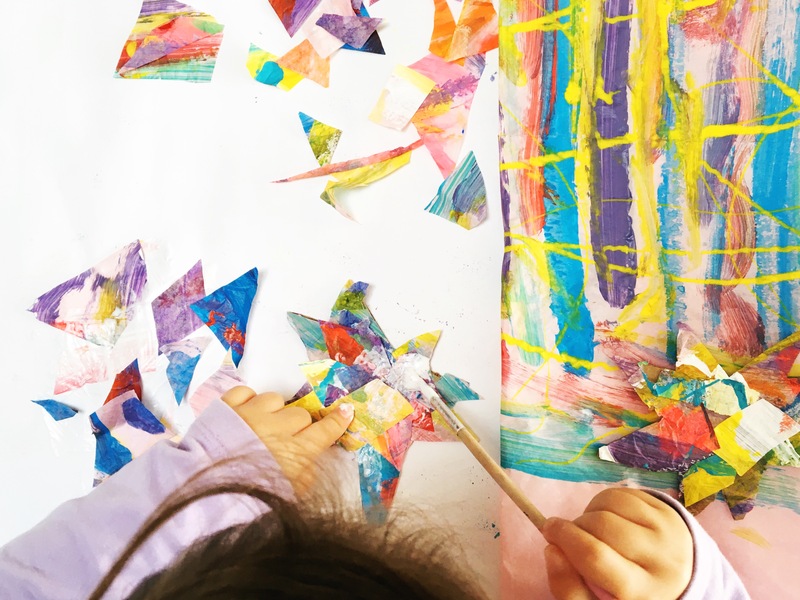 You need a few kiddy artworks to cut into strips. You can obviously go about this as you so wish. 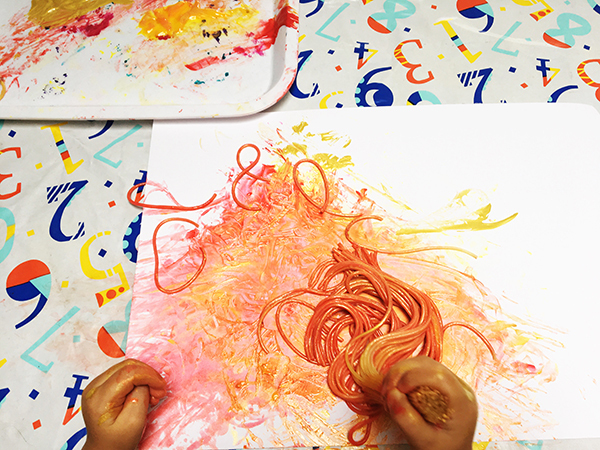 We created an artwork with spaghetti paintbrushes. Grab a handful of dried spaghetti and tie a rubber band around the handful about 2cm from the end. Boil some water and soften the ends of your “paintbrush” in the water. 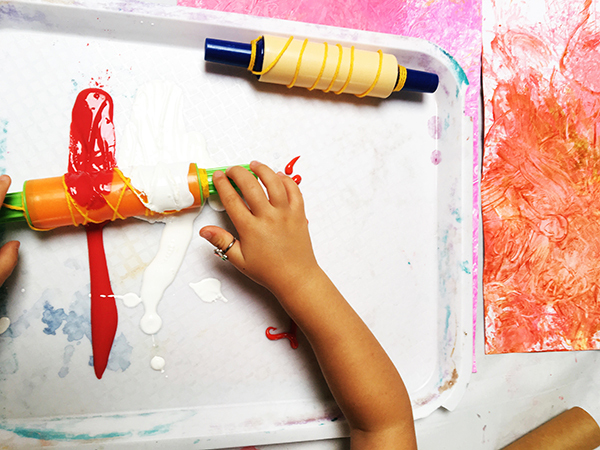 Once cooled, squirt some paint onto a tray and let the kids swirl their spaghetti paintbrush across the paper. Set this artwork aside to dry. 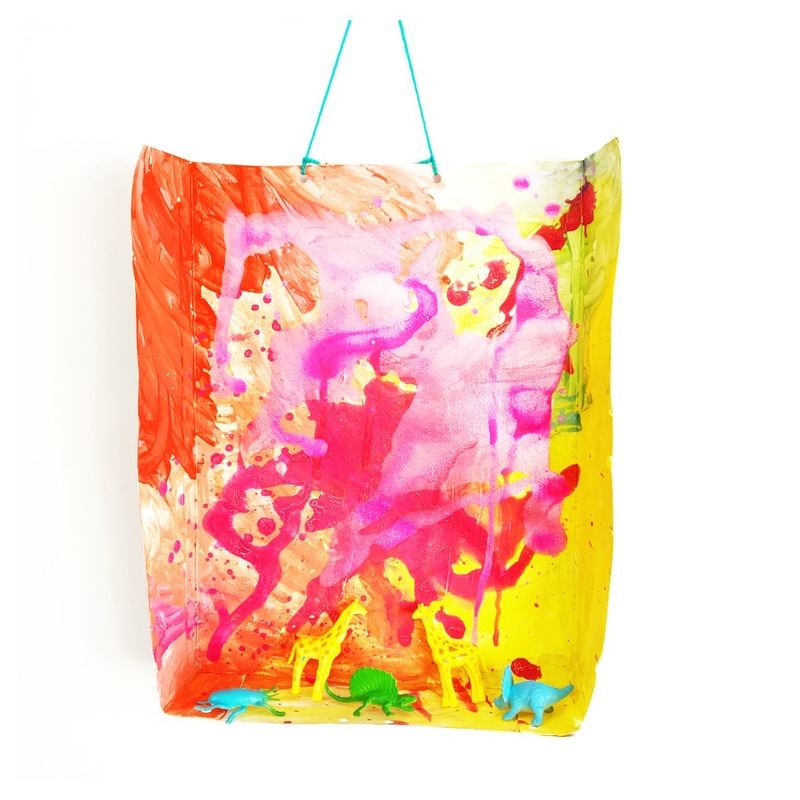 We are big fans of “layering” up our artworks. AKA how to prevent all paintings turning brown or khaki green. A few days later, we painted over the top of these artworks with rolling pins wrapped in yarn. Layer your strips across the heart. You may like to overlap the strips. Glue the strips down. 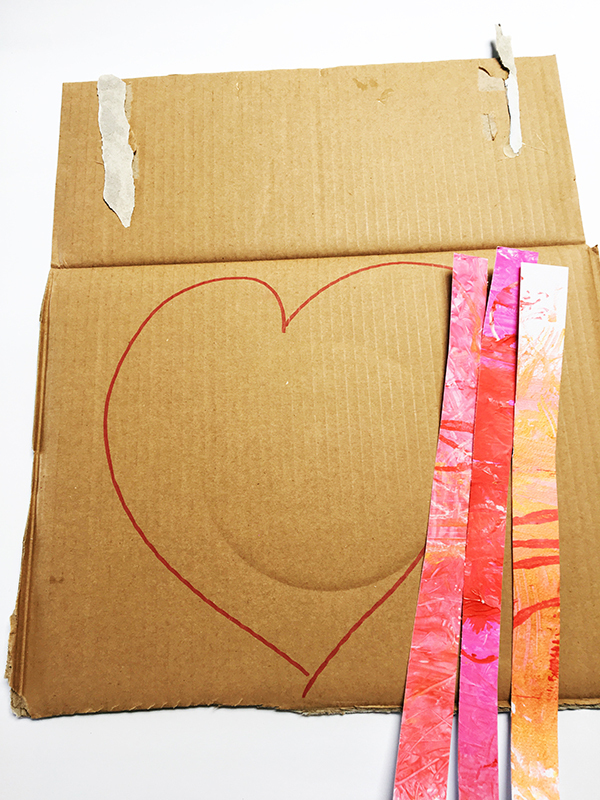 Once covered, flip the cardboard heart over and trim any excess away. Paint a stick and embellish with whatever your heart desires- pom poms, sequins, whatever tickles your fancy! 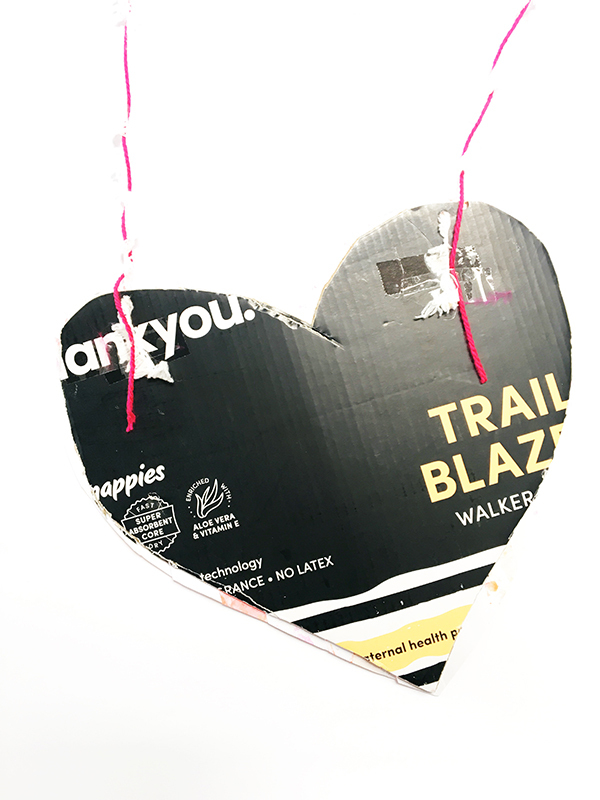 Use a hole punch to punch a hole on each side of the heart. Thread some yarn through and secure with tape. Hang your heart in a prominent spot. 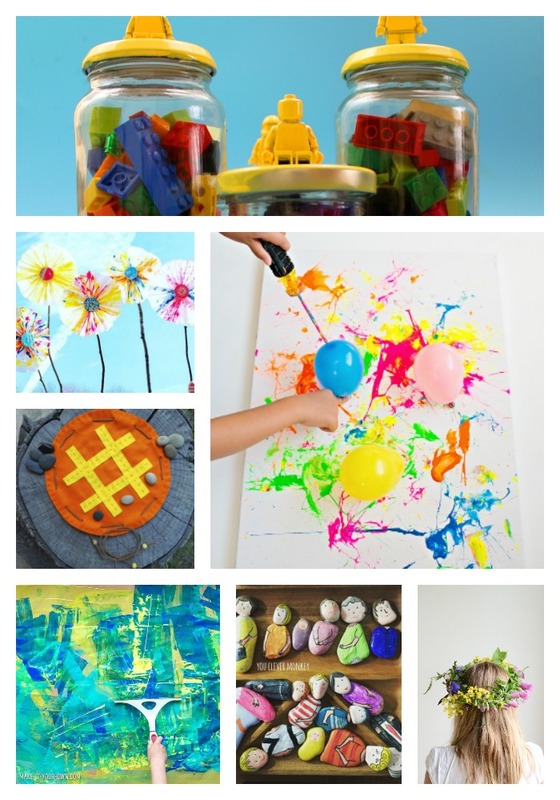 Stand back and admire the handiwork of your littles! This project first appeared as a part of Red Ted Art’s 31 Days of Love series. 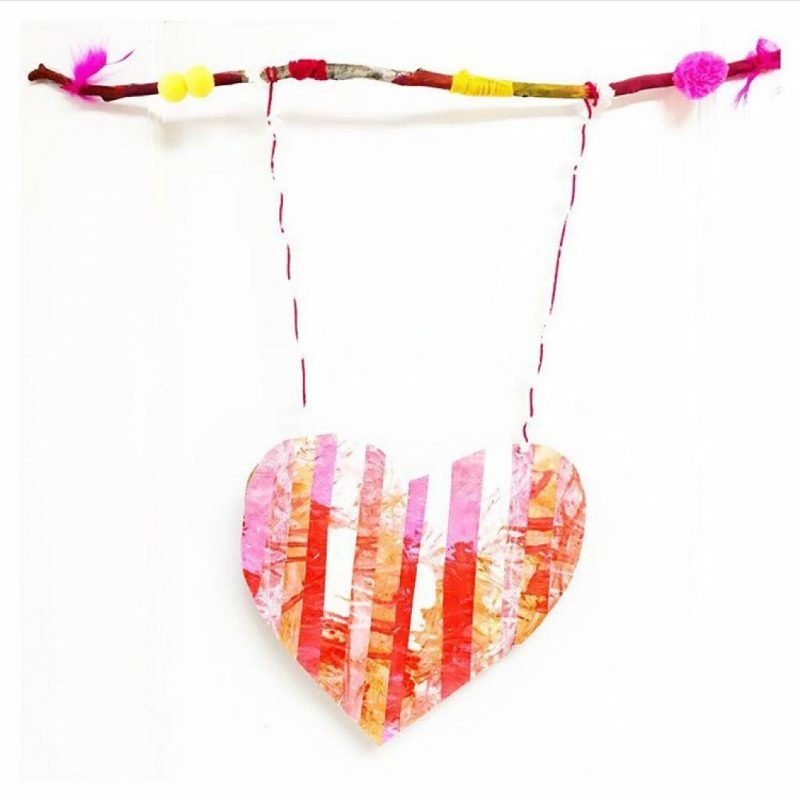 Loads of Valentine’s Day craft ideas over there!